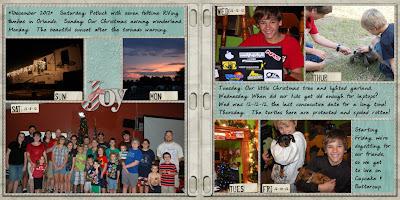 As usual, I used Erica Belton's Plastic Pocket Overlays, Nicole Young's day tabs, and the Happy Holly Days Megakit for the background pieces. Want to join in? Try January, February, daily, weekly, whatever! You can do it however you wish. Check out the Document December forum for ideas! 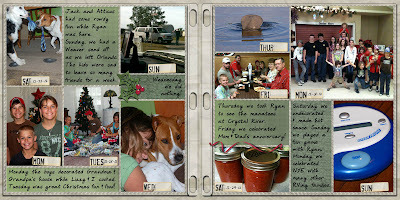 See the post about how I did it using digital scrapbooking here. Just past your rv in Birmingham, AL! 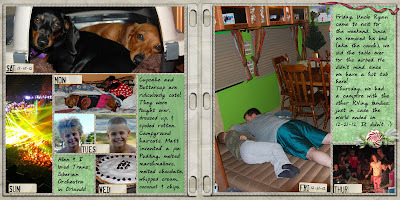 Hope your adventure is still going strong.